For all the baby gifts that they receive on baby showers, the new mom and dad will surely appreciate your thoughtfulness and care. They know that when you choose to send or give a Baby Hamper, you thought of their baby. These items for Baby Gifts are meant for baby care and they top the list for the nice and cherished gifts for baby shower. The parents will appreciate it when you give this device as your baby shower gift. They know you care for the baby when you give this special gift. In a few months, the baby will start to have teeth. A training toothbrush can be the baby’s perfect teething toy. Make sure that, when you give this item as baby first month gift, you choose one that is BPA, toxin, phthalate, and latex free or chemical free. This item can be used as teether and as toothbrush to promote oral hygiene. This thermometer can be used via forehead or ear depending on the age of the baby. The mommy will be glad to have this kind of thermometer because it is a non-contact one, which means she does not have to wake the baby up. For a nice baby gift on baby showers, you can have this sent or delivered on the day of celebration. With crib sheets that you can easily remove and change, taking care of the baby is easier. The crib sheets have three layers of comfortable fabric that keeps baby dry and protected. 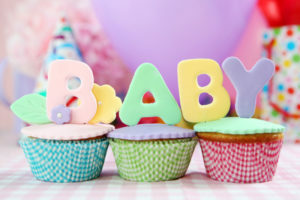 Send this item in a premium baby gifts along with other items to shower the baby special gifts on baby shower party. A nursing cover can be used to cover when breastfeeding, to cover the car seat, to cover the shopping cart, or to wear around the neck as a scarf. When you need gifts that are multifunctional and helpful for caring the baby, this item is perfect. 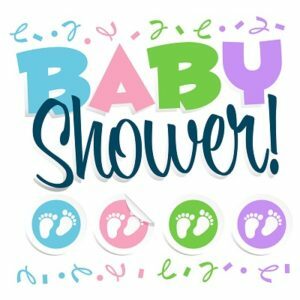 Giving your friend who is expecting a new baby one or all of these items on baby shower is a simple way of helping them take care of their precious little one. It may not be that easy but with quality and useful gifts in Baby Hamper Delivery that you send, you make the task more convenient and simpler.